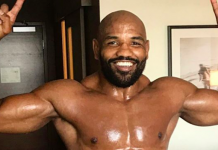 We haven’t seen Yoel Romero since his decision loss to Robert Whittaker back in July. 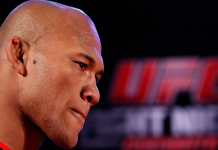 Up until then, the middleweight monster was on an eight-fight win streak with huge wins over Lyoto Machida, Ronaldo ‘Jacare’ Souza, and Chris Weidman. Since then though, all he’s wanted is a fight. With anybody. However, it looks like he’s tried unsuccessfully with both Luke Rockhold and former champ Michael Bisping. Finally, the clouds have broken up and it looks like he could have a fight for the UFC Orlando card: Former WSOF two-division champion David Branch. 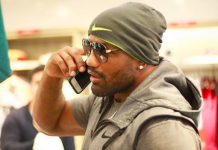 “I don’t understand why [Luke Rockhold] said no. I don’t understand. Maybe he had a strategy in the mind. He say, ‘No I wont fight Yoel, I will fight somebody easy.’ Respect to David Branch, but that’s the way he thinks, you know? That’s Luke’s mentality, ‘I want a more easy fight, win and Yoel Romero lose his last fight.’ […] I am waiting for UFC for a fight. I want to main event Feb. 24 in Orlando. I am waiting for the fight for Luke Rockhold, but I know now he has a fight with Robert [Whittaker]. Now I am waiting for somebody. 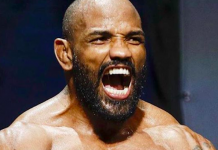 But nobody say ‘Yes, I want to fight Yoel.’ So give me somebody, maybe Michael Bisping.” — Yoel Romero on The MMA Hour. 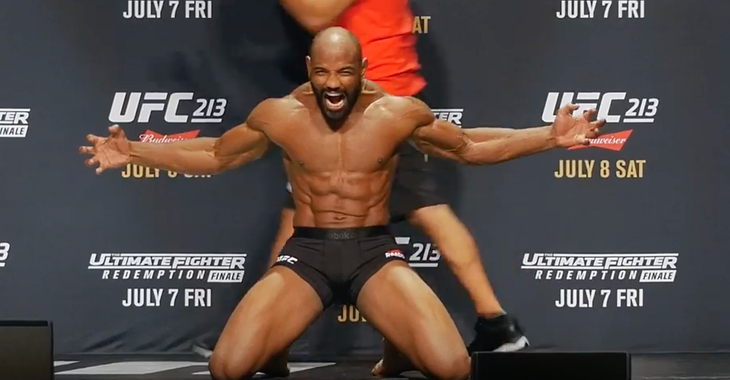 Speaking of win streaks, David Branch had 11 straight wins while winning and defending the WSOF middleweight and light heavyweight titles. In the grand scheme of things, losing to top middleweight in the world Luke Rockhold is nothing to be ashamed of. He’ll look to spring right back into title contention with this potential fight with Yoel Romero. 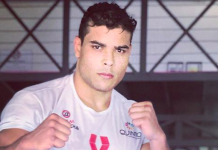 It looks like both men as well as Romero’s manager are good with the fight, so we’ll see what the UFC thinks. This article first appeared on BJPenn.com on 12/19/2017.